1. We had our company holiday party last night. Nobody embarrassed themselves too much — or if they did, they hid it — and everyone was in at a good time this morning. So I’m going to have to look to you guys for stories. What’s your best (or worst) office holiday party experience? I haven’t worked many jobs that have actually had holiday parties. I’ll have to go with the holiday party plan in my last job, where it meant they’d give us lunch, we’d do a white elephant, but all while staying at our desks working… because God forbid there ever be a moment where someone stopped working. 2. If, for reasons not entirely clear, you had to listen to one Christmas song on repeat all December, what would it be? 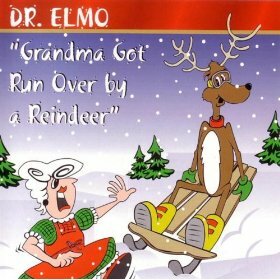 I can’t think of one that would make me not go insane, so I’d go for the most wonderfully insane possible and do Grandma Got Run Over By a Reindeer. You can say there’s no such thing as santa, but as for me and Grandpa, we believe. What other lost verses do you know? Either stuff legitimately cut from a song early on, or extra verses occasionally added in. I always think of the Garth Brooks ones. Everyone knows the extra verse for Friends in Low Places, but I also dig the extra one for The Thunder Rolls. Even if I am a pacifist. 4. If you could rename one kitchen utensil, what would it be? What would you call it? The cork screw. It is now known as the dream maker. 5. Do you know of any unique charities that deserve more attention? Either unique in how they raise money or in what that money’s for. I’m a fan of Laundry Love. Look it up in your area.